Must have magazine for "foodies"
Gotta have this magazine if you are a lover of easy, delicious, unique food. Recipes for weeknights, weekends, get togethers and special occasions. Each recipe has pictures and easy to use instructions. Even for an experienced cook, the recipes are intriguing and unique enough to capture your interest and peak your curiosity enough to "give it a try". For the inexperienced cook, they are so easy to follow that there is no fear to "give it a try." Gotta have for "foodies" like me!! I was pleasantly surprised at my first issue of Food Network Magazine. I expected another food magazine with maybe a few new ideas but this really exceeded my expectations. I've gotten two issues so far and really enjoy it. I like cooking magazines with lot of photos of the finished recipe and this doesn't disappoint. The high quality, colorful photos are a great temptation to try the different dishes which so far have turned out very well. I ordered Gourmet (1-year) around the same time and found Food Network a nice complement to it with more casual recipes along with the gourmet stuff. I especially like the "Copy That!" feature where they take a dish from a well known restaurant and come up with a recipe for it. Also, the "Weeknight & Weekend Dinners" are a great source of inspiration when you can't come up with any ideas on your own. I posted some pictures of the magazine on this site. I hope this magazine keeps up the same great style and articles because so far it's a winner! I ordered a subscription to this magazine not having much information except that it was a Food Network magazine. There were no reviews posted at the time. It arrived about 2 weeks after I ordered it. I am pleasantly surprised. I like the format and the visual layout. I am a vegetarian so many of the recipes are not for me but I still like looking at the magazine and getting ideas. Having more veggie options would be my only feedback. Despite that I still enjoy the magazine. My favorite part is the "Out of the Box" section where they have a couple chefs reinvent a food from a mix. It's really cool to see what the chefs come up with. Thanks for a nice magazine. I love this magazine! Unlike some other food mags, this one is completely dedicated to all things food (without wasting room on exercise and fashion!). The recipes are diverse, the articles are interesting, and the cooking tips provided are brilliant! The magazine presents a great opportunity to try out new recipes with some fresh, not-so-common ingredients. Not all recipes have been hits with my family, but they've now been exposed to pine nuts, collard greens, and kosher salt. Just wait until I pop the Moussaka on them! Need to find kefalotiri--salty Greek cheese--first though. I bought this for my wife but I look at it too. It is not your usual cooking magazine but seems to come from a different direction addressing normal type dishes -no weird stuff. Very informative and varied. A solid publication. Love, Love, LOVE this magazine! As a working mom of two I always feel like I don't have enough time or energy to get truly inspired in the kitchen. This magazine has revitalized and inspired me! It has a beautiful, useful layout, a great variety of recipes, and seems truly practical and creative at once. Best food magazine out there! 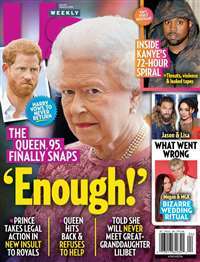 Don't waste your time with this others, this magazine has what you need, including quick delivery. I got my first issue just a couple weeks after ordering it. My only beef is that I wish it were a twelve, rather than ten issue a year magazine. In addition to all of the beautifully displayed recipes, one of the most useful things about this new magazine is that there is a Recipe Index in the front of each issue. What's unusual about this recipe index is that there are little thumbnail pictures of each prepared recipe and they are arranged by categories, like "Appetizers and Snacks." This makes it so easy to reference old magazines and easily find favorite recipes. What a great idea! I'm very pleased with this magazine. It shipped fast and has lots of good recipes for me to try. 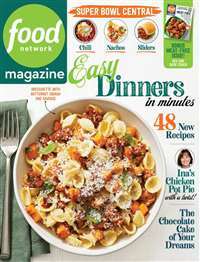 Food Network is my favorite channel and now I have a feeling this is going to be my favorite magazine too. Try it! I love this magazine and so does everyone I purchase it for. 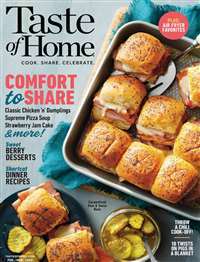 The price is awesome and every magazine has a recipe I have tried and thought was excellent. I highly recommend! *All prices are in US Dollars, and includes shipping and taxes.